The Rs 448 recharge will now offer an 82-day validity, as compared to its previous validity of 70 days. The Rs 509 prepaid plan will also come with an extended validity of 91 days, up from 84 days. 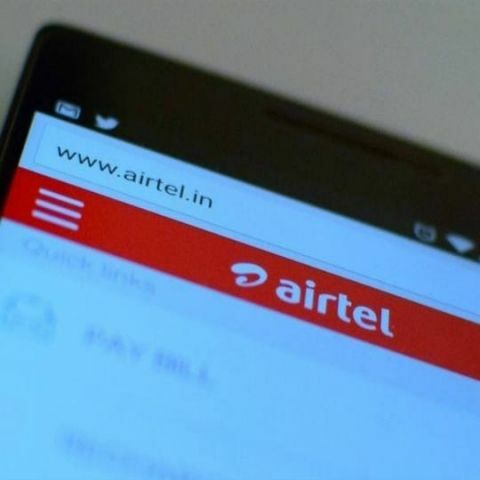 Airtel has revamped its Rs 448 and Rs 509 prepaid plans and is now offering extended validity on both. The Rs 448 recharge offers 1GB of 3G/4G data daily along with unlimited calling capped at 250 minutes per day and 1000 minutes every week for 82 days. It previously offered the same benefits for 70 days. Similarly, with an extra validity of 91 days, up from 84 days, the Rs 509 prepaid plan offers 1GB of 4G data per day along with unlimited local and STD calling which are limited to 300 minutes per day and 1200 minutes per week. The new benefits by Airtel comes after Jio announced a new offer for its Prime subscribers under the “Happy New Year 2018” plan. Starting tomorrow, the telco will offer two new options to users recharging with its 1GB daily data plans. Depending on their requirements, users can either opt for a Rs 50 discount while recharging with the plans or get 50 percent more data benefits. All of Jio’s 1GB daily data plans will still offer free unlimited calls and texts along with unrestricted access to Jio’s suite of apps like JioChat, JioCinema, JioTV, and more. Jio also announced that its Rs 399 recharge plan, starting January 9, will offer 20 percent additional data and come with an extended validity of 2 weeks. This means that users recharging with it will get 1.2GB of daily data instead of 1GB and the plan’s validity will be extended from 70 to 84 days. You can read more about the new Jio scheme here.